« Hot Bridesmaids, But The Ring Bearer Is A Dog! Mike and Chelsea Gray had an elegant reception at the beautifully restored T & P Station in Fort Worth. For guest favors they had drink koozies printed with their monogram. They were a big hit on a hot summer day! 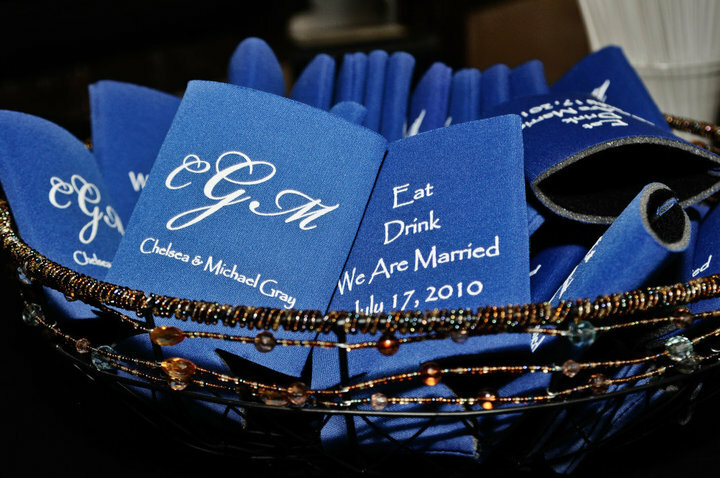 At hot summer weddings, the guests love the drink koozies! This entry was posted on August 11, 2010 at 10:19 pm and is filed under Weddings!. You can follow any responses to this entry through the RSS 2.0 feed. You can leave a response, or trackback from your own site.